"Im searching for an old NASCOM Dungeon like game, where the task is to stop a bomb from exploding, but didn't find it. I got into contact with a guy 'Anders Hejlsberg' later to be one of the founders of BORLAND. 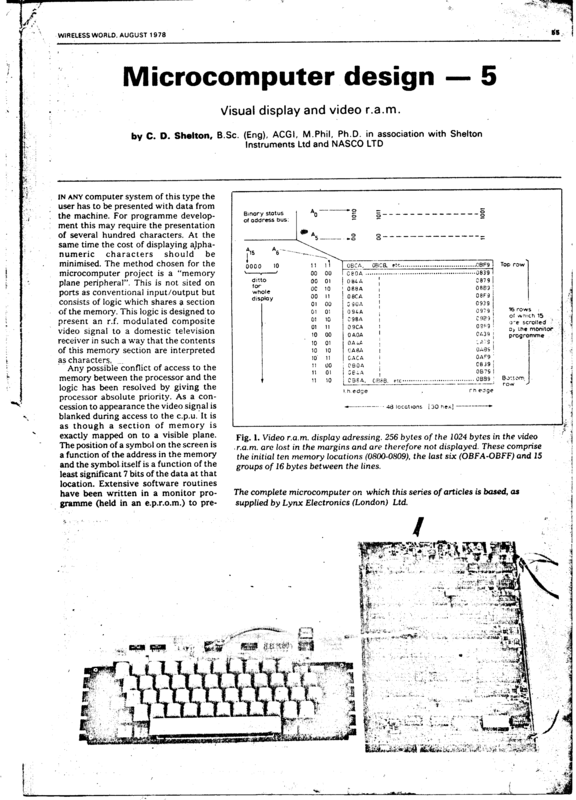 He had made the first real compiler for the NASCOM, called 'Blue Label Pascal'. 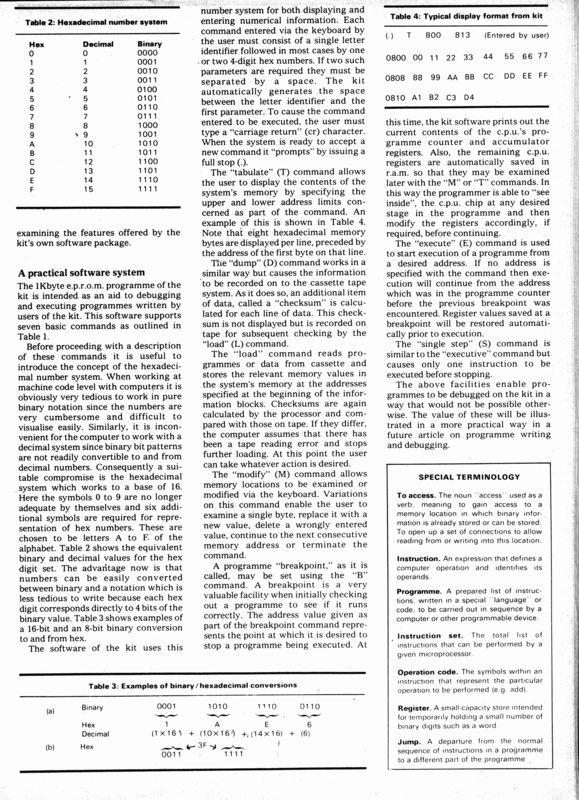 In 1984 Anders gave me the source for the floating point routines used in this Pascal. The special thing about this code is that it keeps all its computations on the stack, so you dont have to set aside some RAM areas. And the code is completely relocatable. I also have a printed description that Anders made (In Danish), Most is just CALL descriptions, so I guess that anyone speaking English will understand our language well enough, however I also did a translation." I found the copy of NimBot on your web, and noticed that it has incorrect graphics. This is very understandable, considering it was typed in from a printed magazine. And due to Nascom BASIC having a bug with LIST expanding tokens within strings, this makes guessing the correct graphic for the garbage almost impossible! When C&VG asked for permission to publish NimBot, they didn't ask for any help with the graphics - they just printed it. I laughed when I saw the copy : ``Have fun typing that in!" Recently, I was salvaging data from my ancient Nascom floppy disks, which wasn't easy; as my disk controller died about 20 years ago. I wrote a disk reader for my Tatung Einstein, and managed to read most of the disks. One of the disks had a NimBot file, but it was corrupt. Luckily, the sector with the graphics was intact, so I combined it with the copy from your web to recreate the original." Thank you to Carl for the update and the backstory (I appologies for taking two month to convert the NAS to CAS). As I was doing some research on the early format of the Level 9 adventure games I discovered your site http://www.nascomhomepage.com/ a few months back. 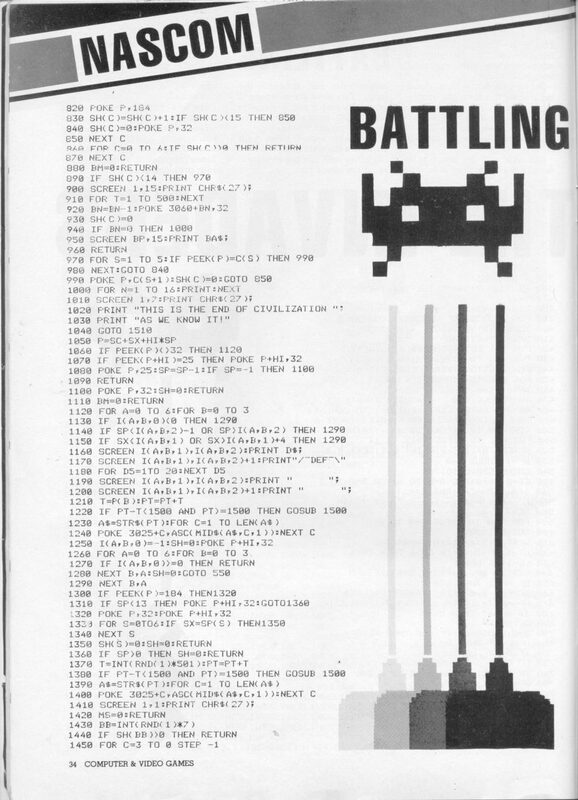 In particular, I noticed the entry "Colossal Adventure 16K and 32K version (Level 9)." and the files therein. I knew very well the Level 9 Colossal Adventure, but I was not that familiar with Level 9's early work on the Nascom. 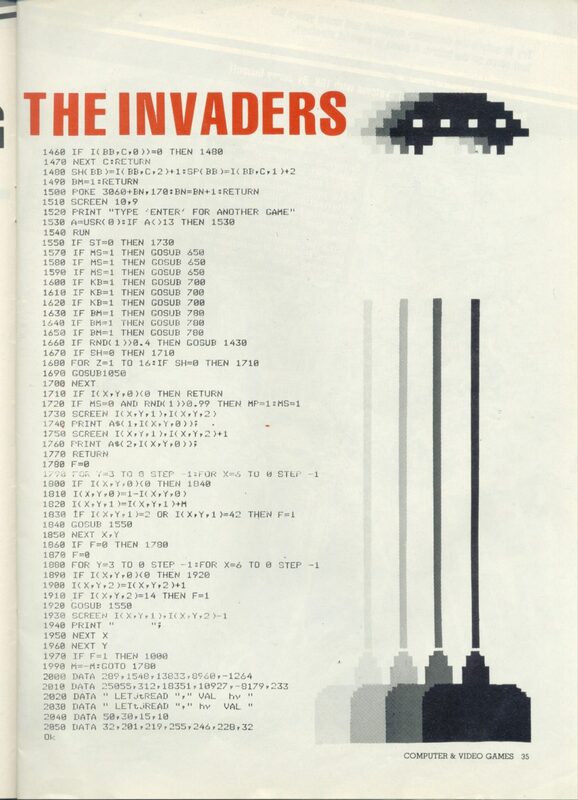 Assuming that the "32K" version was something Level 9 did early on, predating the work on other micros, I started to disassemble the file to understand how this differed from what I had seen on C64, the BBC etc. After hacking together a z80 trace tool I managed to re-engineer the text compression routines in C (the text compression is based on Huffman variable bit-encoding) and I could list the various texts in the game. 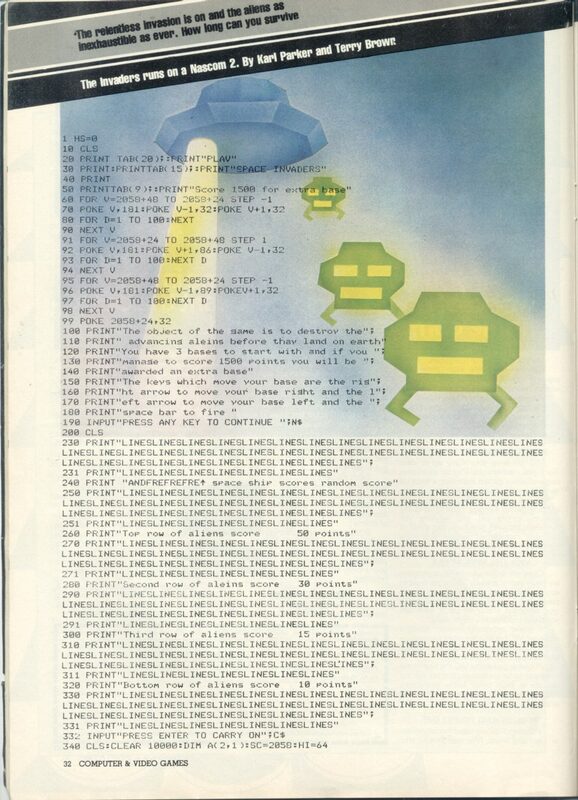 Only to find the text "Adventure 32k copyright (c) 1982 Michael J. Evis" (message #200 of the message texts). A further look revealed that you can provoke this text in-game by entering "AUTH" for Author. Just wanted to let you know that you should consider changing the text on your page to credit Mr. Evis instead. A qualified guess is that the "32K" code is similar to what was released for the ZX Spectrum a year later (worldofspectrum). The Spectrum version has earned a place in the Adventure Family Tree. The "16K" code is a shortened version. As I can't find any credits in this file I am not sure who wrote it. Maybe the supplier of these files can confirm that the 16K version is also written by Michael J. Evis? 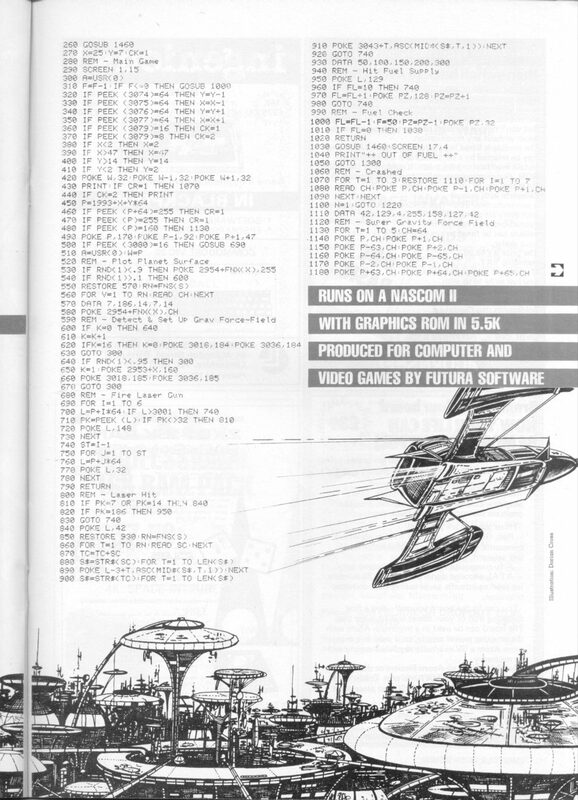 Out of historical interest it would be nice if someone in the Nascom network could identify and supply the actual "Colossal Adventure" file by Level 9, as I am unable to locate this elsewhere. Stefano Bodrato contributed his cas2zx tool to convert cas files for the ZX Spectrum and a Windows 7 build of Virtual Nascom. 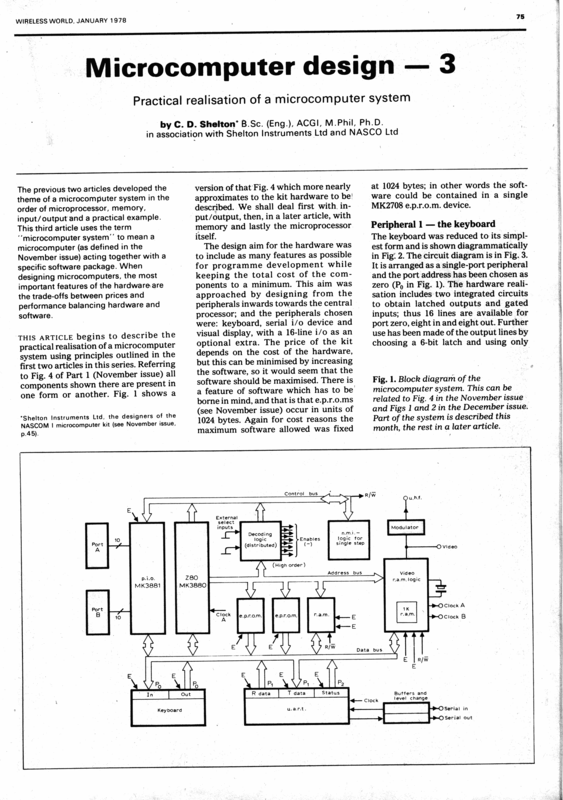 The original manual of the NASCOM DISPLAY TESTER MK III and pics a and b. 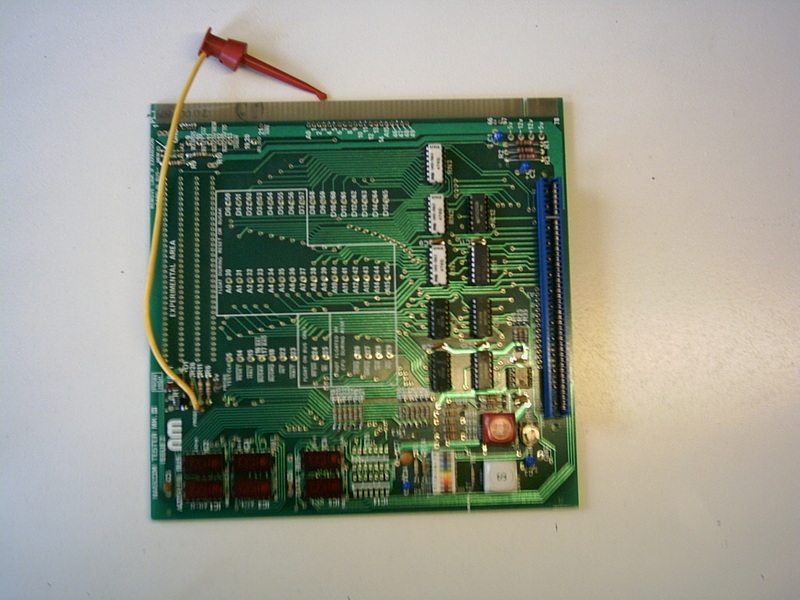 A picture of floppydisk interface, designed for the former dutch "Nascom Gebruikers Club" and build and distribute for the members. A group of members has written a DOS and CP/M 2.2 for this interface. The interface was switchable for 5 and 8 inch drives. 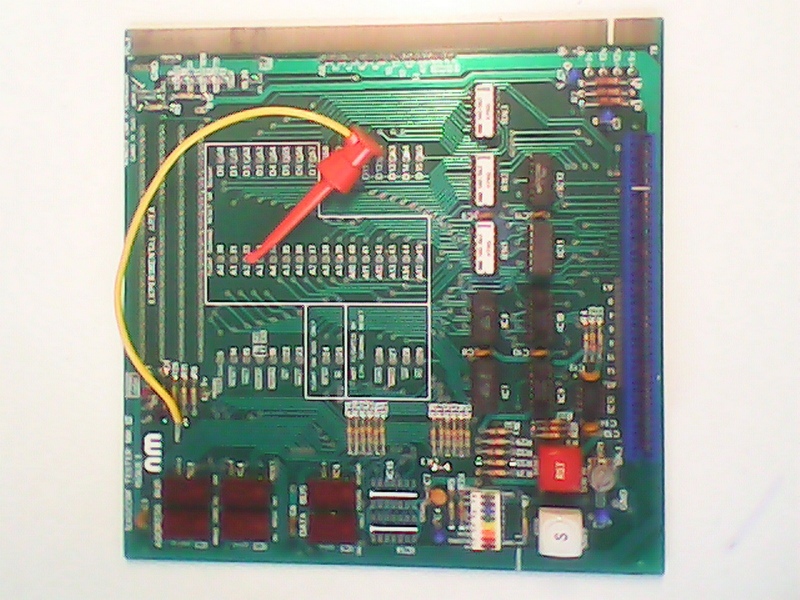 The picture of the prototype board for this interface and an eprom programmer. A friend of mine (Mick Waters) persuaded me to buy a Nascom 2 (I was thinking about a CompuKit UK 101, a close shave!) as he has already bought one and said it was much better than the CompuKit. Well while I was building mine we purchased this book and spend an entire night typing it into his 16K Nascom 2, only to find that it wouldn't run as there wasn't enough RAM. Needless to say we quickly borrowed my 4116 chips from my N2 kit (I was quite nervous) to up his 16K to get 32K so we could run the game J (at least we were able to save it). Some years later I upgraded the N2 to a CP/M system, courtesy of a Gemini Disk card and merrily converted my favourite game to CP/M. But things moved on and I bought more computers but didn't stop using my CP/M Nascom 2/Gemini hybrid system until I bought my first PC (around 1994). However thanks to CP/M emulators and vnascom I have been able to re-convert this game back into the Nascom 2 MBASIC version. I can't guarantee that I haven't made any typos in this version given that it has been ported to and from CP/M but it seems to run just fine in vnascom. I hope that it is of some interest and include it here." Ken Smith writes us that "I have available a nascom2 computer plus 48k memory card plus graphics card plus PIO card plus twin 51/4 floppies with card plus power supply. Seems to be working ok. Free gift to enthusiast. Howard Smith contributes a link to his Nascom site, http://nascom-uk.blogspot.com. We wish him success in bringing up his old machine. Graham R Wilson sends us his never published book 'A Guide to NAS-SYS'. It is the follower of his book 'Machine Code Programming for the Nascom 1 & 2'. Rebecca Yates contributed the manual for Dungeon Quest and the game Dungeon Quest. Rebecca Yates contributed the manual for Keys of Kraal and the game Keys of Kraal . Hans Rietveld wrote us with a front-end for Vnascom. The Old News have move to a separate page. Hi and welcome to the Nascom home page. 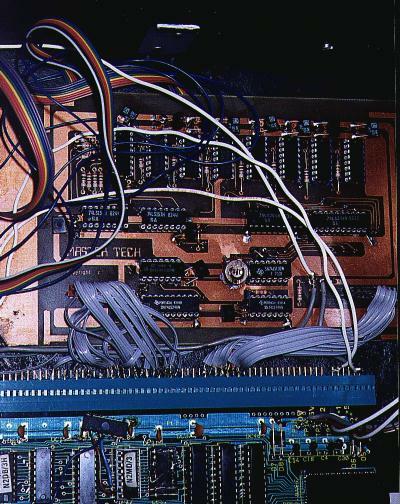 serial in/out, selectable between cassette tape, RS-232, or current loop 20 mA for teletype writers (picture of the I/O connectors [163 KB]). 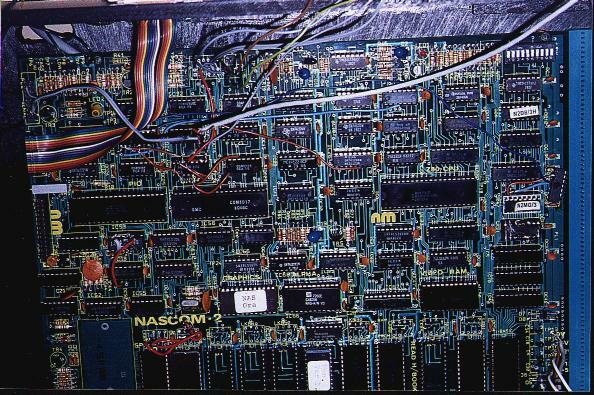 The Nascom computers were very useful for learning about microcomputer hardware and, through complete documentation, also learning system programming. 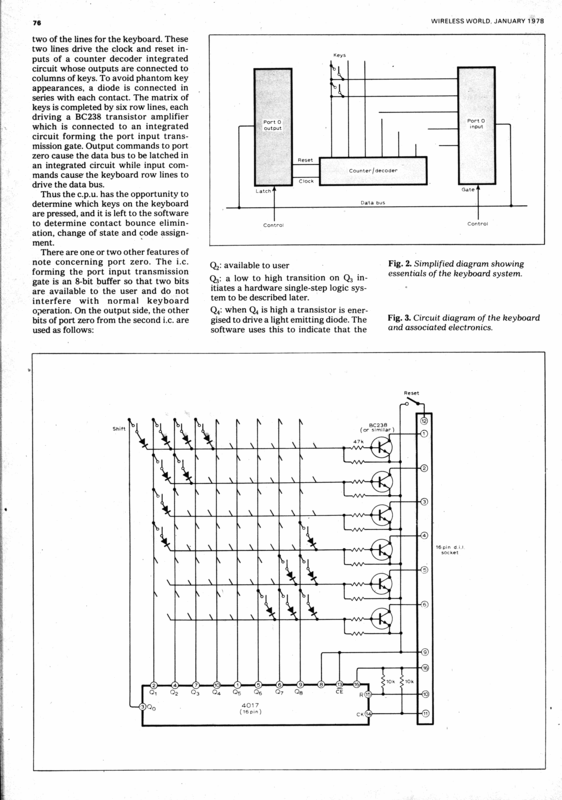 All electronic schematics, datasheets of special components and the complete source code of the monitor were available from the beginning. Constantin Olbrich (change "_AT_" to "@") , and they will find their way to this page. Don't be shy about including auxiliary details, such as the story behind the game, manual, etc. 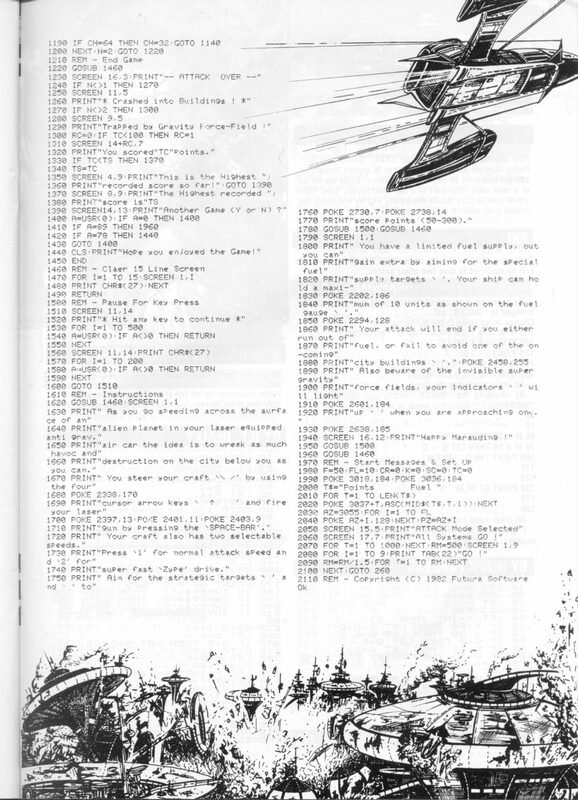 OCR'ed versions of the INMC newsletter, 80 Bus Journals or other Nascom magazines. ZEAP 2.2 Assembler disk version. any Nascom software or documents not presented here! There are many Nascom emulators available today, but at the genesis of this web site there was none. Need thus begat Virtual Nascom, a fully portable Nascom emulator distributed in source form. The primary site is the Virtual Nascom git repository. VNascom is an alternatively emulator written by Constantin for Windows. The latest version is Virtual Nascom Version 3.1 for DOS/Win9x/ME. 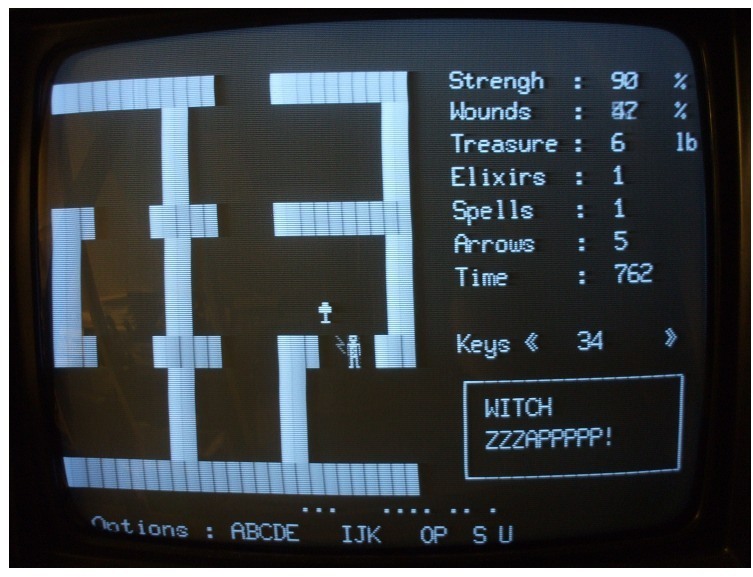 The current version has bit level correct screen output and complete keyboard emulation. It run all the programs We've tried, which includes most games available. New in Version 3.1: CP/M Version 2.2 runs on standard Nascom screen as well as on the AVC. Hans Rietveld contributed a front-end for Vnascom. A new Nascom 2/3 emulator version 1.2 in Java written by Richard Espley is available. One of the best Nascom games. 1981 by South East London Software. 1981 by Blue Label Software. If there are any software classics for Nascoms, this is one of the bests. 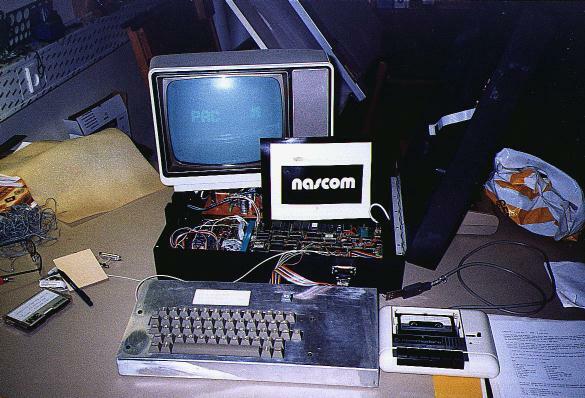 CP/M 2.2 on a Nascom 3 with screen editing 1982. T aaaa bbbb .... creates a listing from aaaa to bbbb for in format "L". Your PC Terminal Program needs the following communication parameters: 1200 7/E/1 as 1200 Baud, one stop bit even Parity and 7 data bits. Mike Fox offers this tip on How to automatically Read NAS files into a Nascom (open the linked zip file for more information). 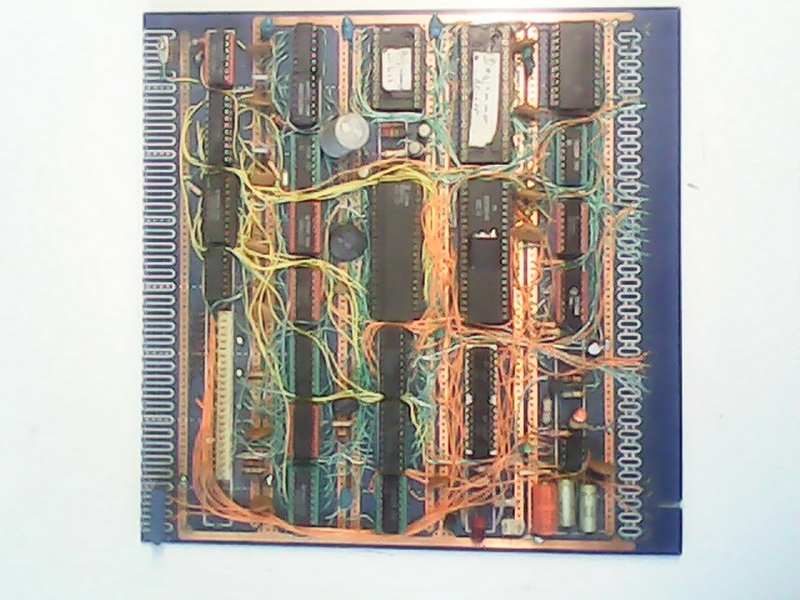 NAS2ROM.BAS Converts a NAS file to ROM file (binary image) for creating an EPROM. CAS2NAS.BAS Converts a CAS file to a NAS file. NAS2CAS.BAS Converts a NAS file to a CAS file. nas2rom.c Converts a NAS file to to ROM file (binary image) for creating an EPROM. Nascom 1 and Nascom 2 and Nascom 3 Emulator version 3.1 for DOS/Win9x/ME with audio cassette input and output. Read and write original Nascom cassettes with a soundcard! Ready to run NAS-DOS 1 on floppy disk images. Nascom 2/3 Emulator version 1.2 in Java by Richard Espley. Nascom 2 Emulator version 1.0.1 for UNIX with source code. 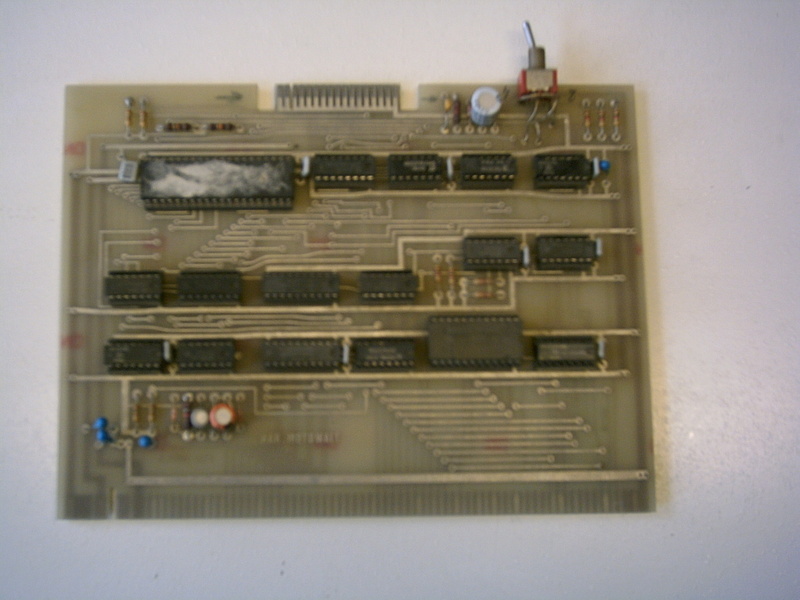 NASCOM BASIC emulator for the ZX Spectrum 48K. Nascom CP/M boot loader ROM. AVC demo disk. Type ]E:RUN ME to start. 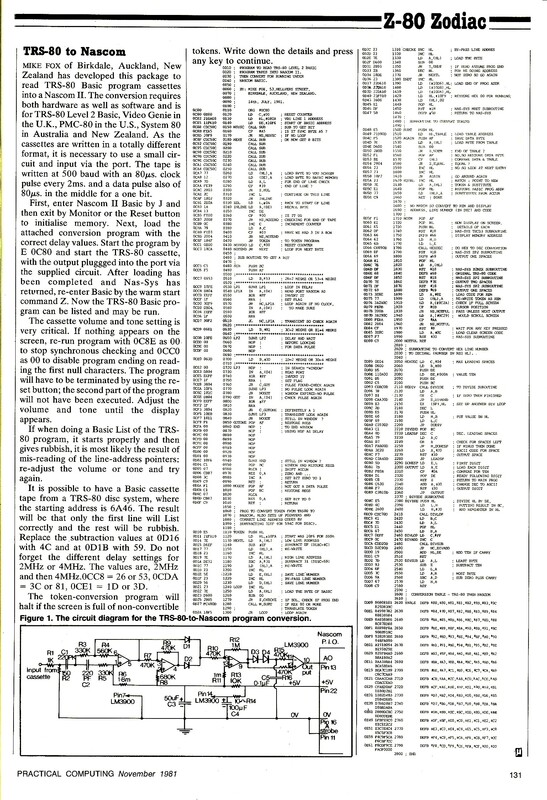 NAS-Sembler 1.5 (Lucas Logic 1982) Assembler distribution disk. Nasdos related tools and toolkits. Type ]E:MMENU to start. Game Asteroids by Richard C. Espley 1985. Type ]D: to start (check out the RESET key!). Game Nascom Disk Adventure by Richard C. Espley 1983. Type ]E:OINIT to start (check out the RESET key!). CP/M Games compilation for 80 char's mode. 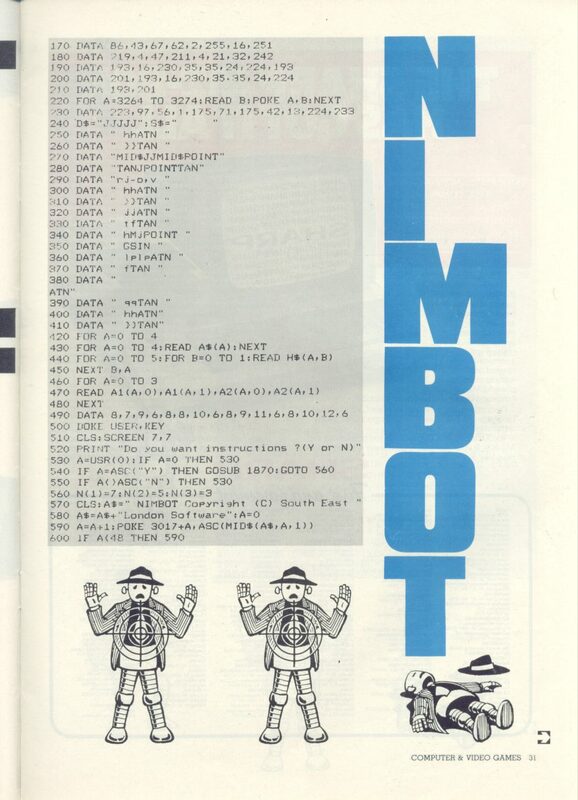 X-tal Nascom Enhanced GBASIC Vn 3.1D (1982). 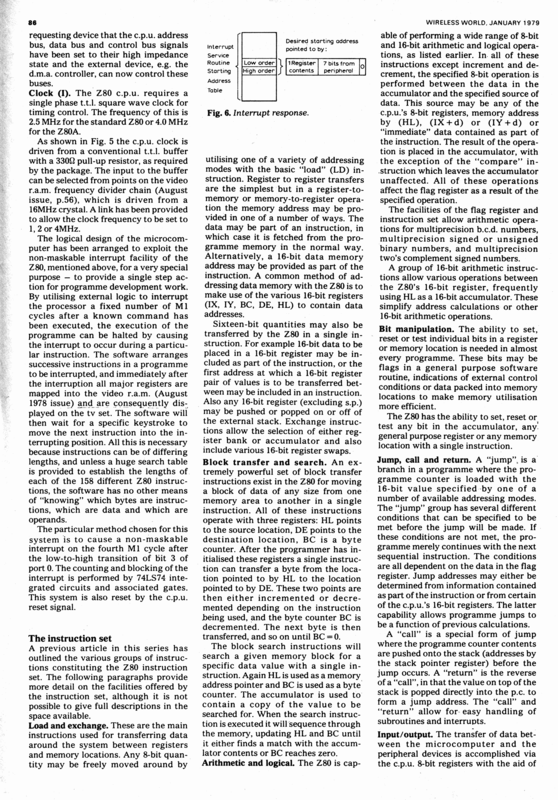 INMC 80 NEWS issue 1 (June .. August 1980). INMC 80 NEWS issue 2 (September 1980 .. Januar 1981). 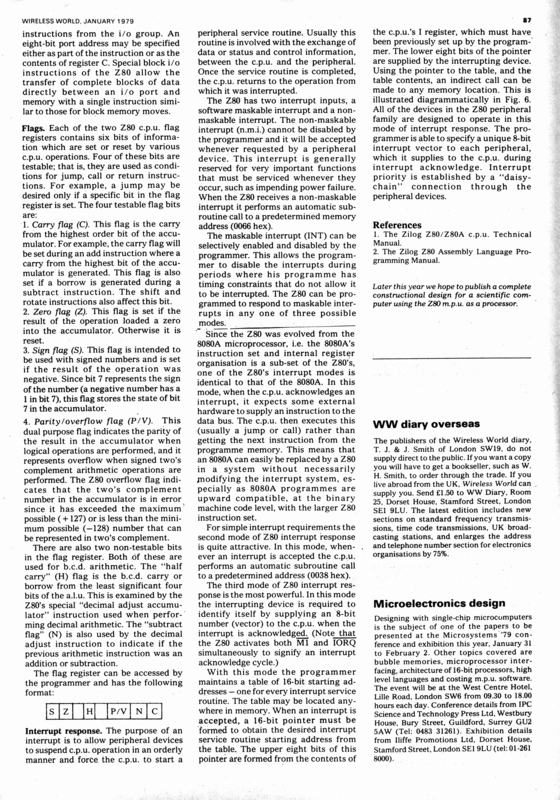 Micropower Volume 1 Number 1 (August 1981). 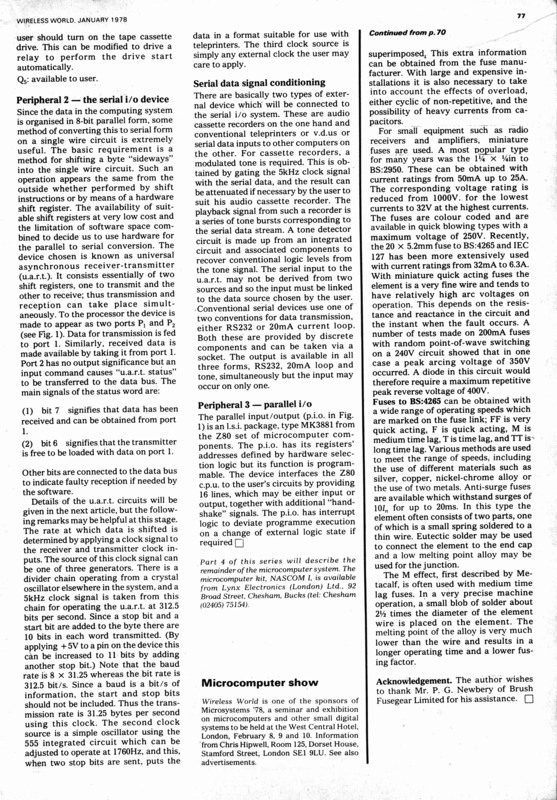 Micropower Volume 1 Number 2 (September 1981). 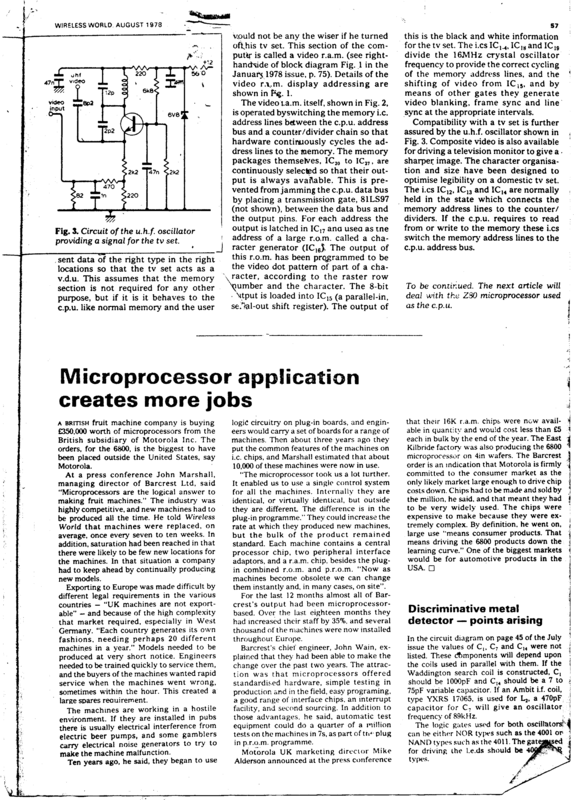 Micropower Volume 1 Number 3 (November 1981). 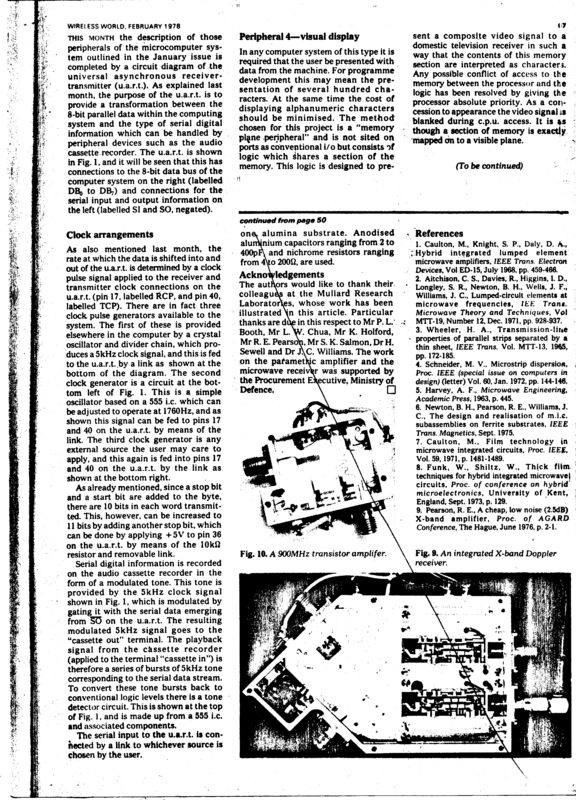 Micropower Volume 1 Number 4 (December 1981). Micropower Volume 2 Number 1 (February 1982). Micropower Volume 2 Number 2 (April 1982). Best of INMC News (August 1981). Here a gem, courtesy of Paul Wiliams and John Hunt. 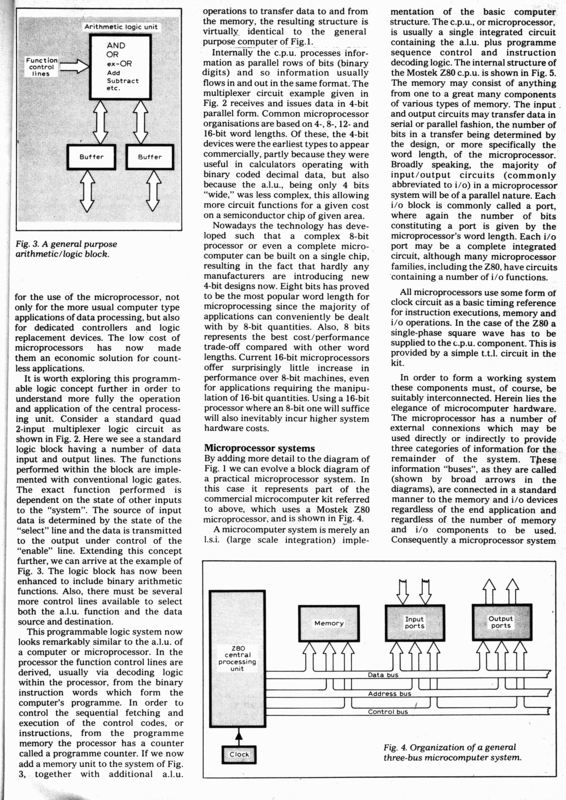 A couple of short hardware articles from Wireless World 1977 - 1979, by Mr C. D. Shelton and NASCO Ltd on microcomputer design. The hardware in these is identical to Nascom 1, and it arrears that somewhere in the business/design setup that Mr Shelton had an arrangement to publish the Nascom 1 design. 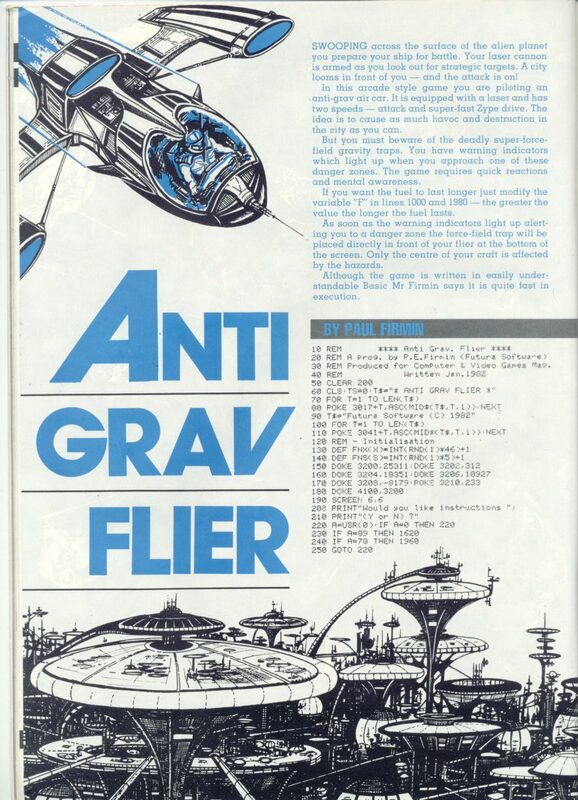 Interesting though that part 4 came out in Feb 1978, as this puts part 1 in about Nov 1977 - so it seems the design was being published at about the same time that the Nascom 1 was being first produced? Open source doesn't seem to be a modern invention then. Paul provided parts 4 & 5 of the series, while John provided the remainder and converted Paul's to space saving PNG format. Thank you both. Nov 77: 1, 2, 3, 4. Dec 77: 1, 2, 3, 4, 5. Jan 78: 1, 2, 3. Aug 78: 1, 2, 3. Jan 79: 1, 2, 3, 4, 5. 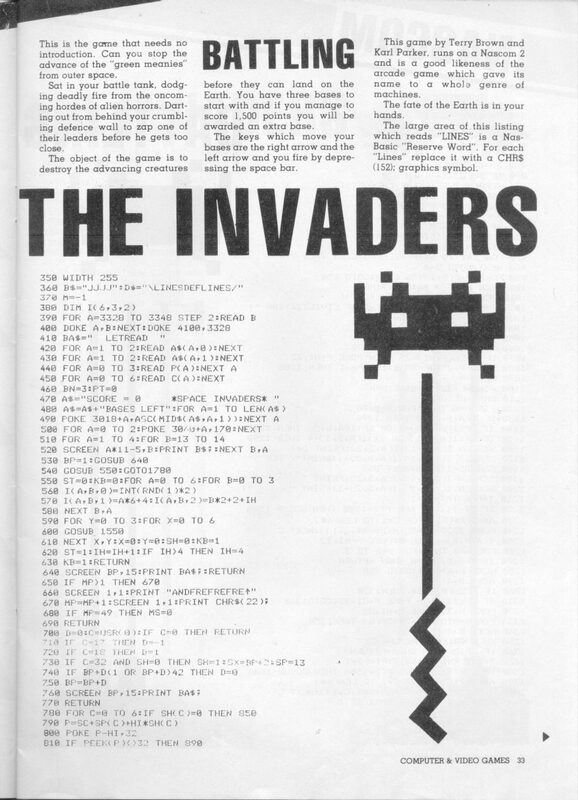 From C&VG, 3 type-ins games for Nascom-2 (Missing pages are full-page advertisements): "The Invaders" (1, 2, 3, 4), typed in by Lex Landa — thanks, "Nimbot" ( 1, 2, 3, 4, 5), and "Anti Grav Flier" ( 1, 2, 3). POLYDOS complete manual set (six volumes). Lucas CP/M 2.2 V3.2 manual. Programmable Character Generator P.C.G. (BITS & P.C.s). 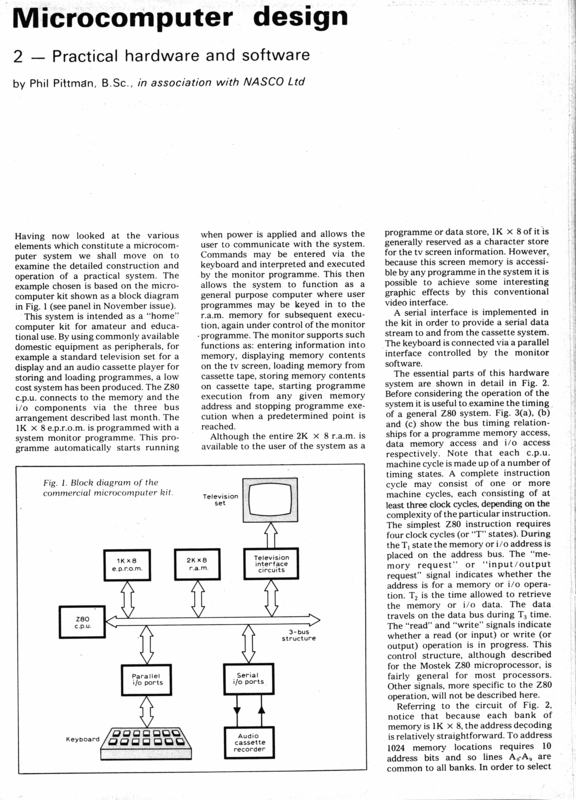 Nascom Enhanced Basic 3.1T manual. Level 9 Comression Assembler Manual 1.3. 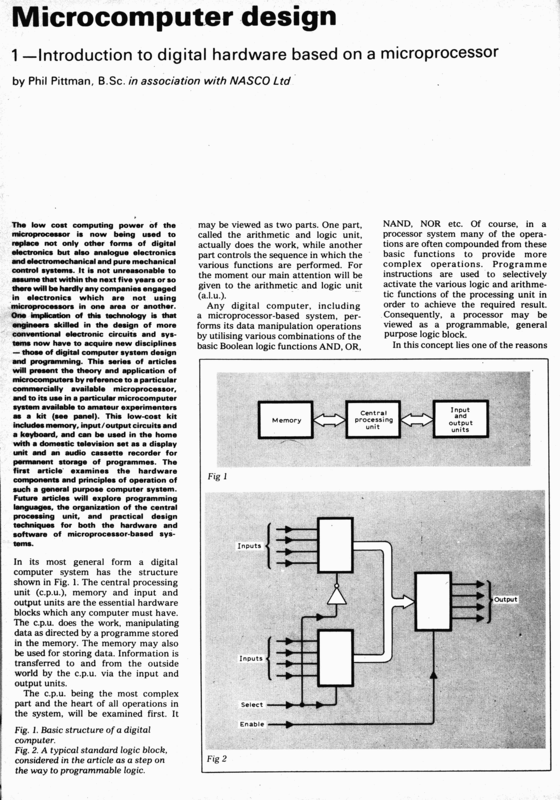 Machine Code Programming for the Nascom 1 and 2. 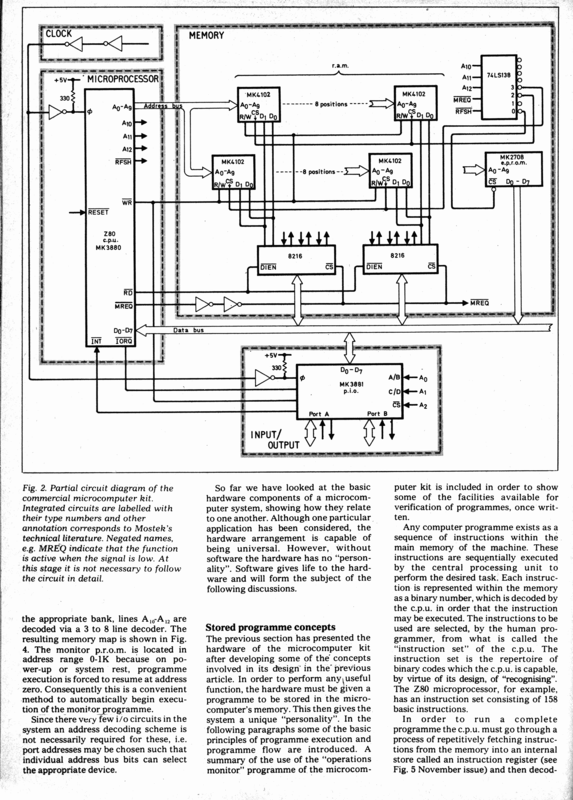 AVC Software Manual Model B.
AVC Hardware Manual Model B.
ZEAP 2.0 Assembler Manual written by Paul Chapman. 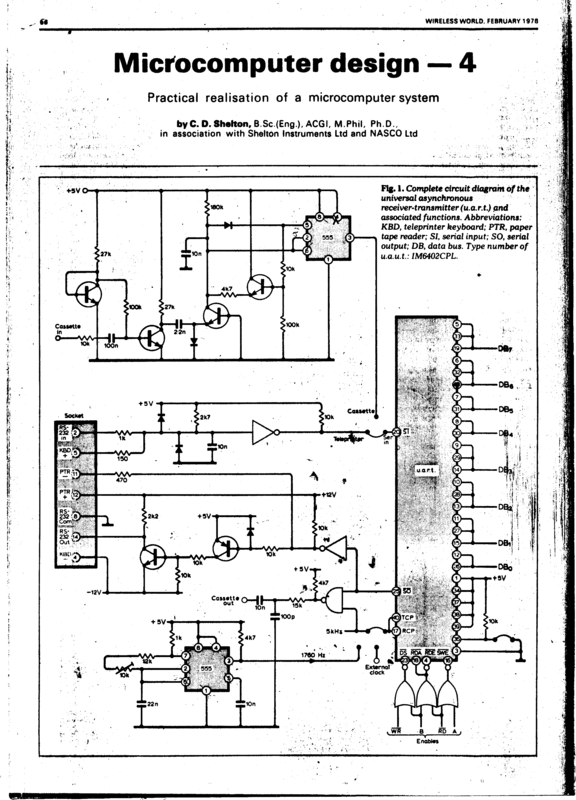 Nascom 2 Manual: NASBUS specification. 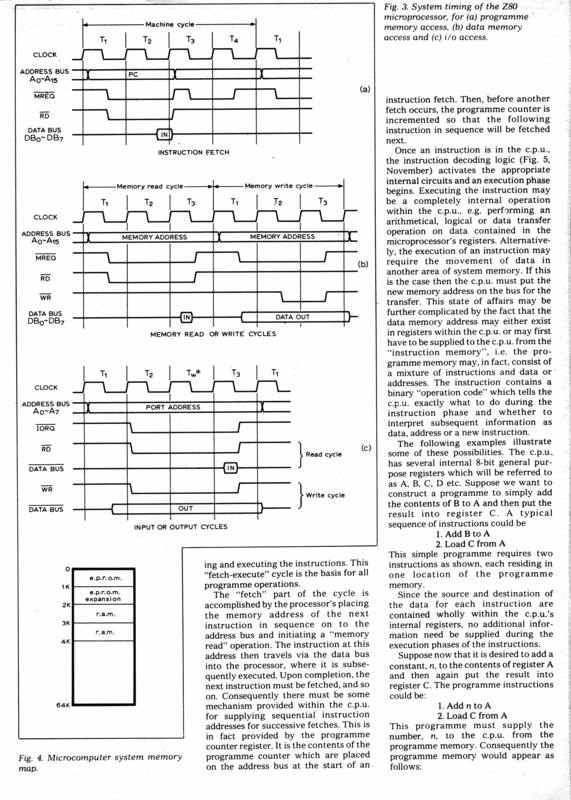 Nascom 2 Manual: Construction Manual. 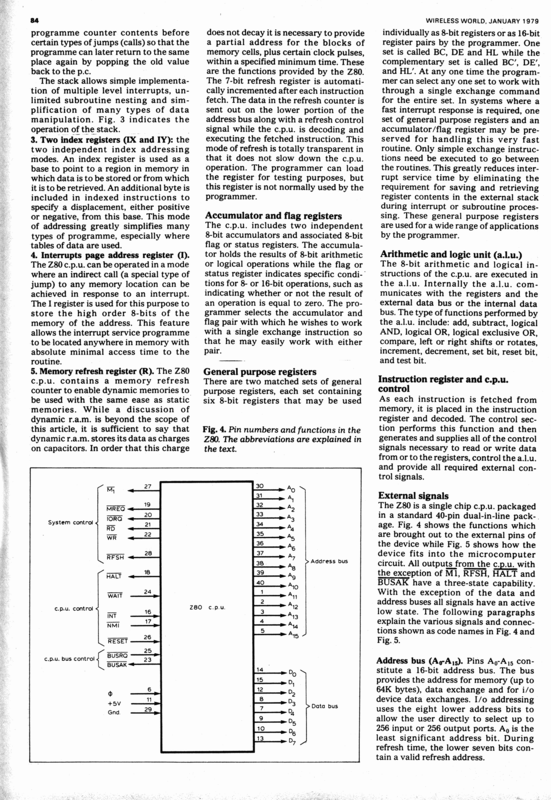 Nascom 2 Manual: Hardware Manual. Listing of the Nascom 2 Proms. 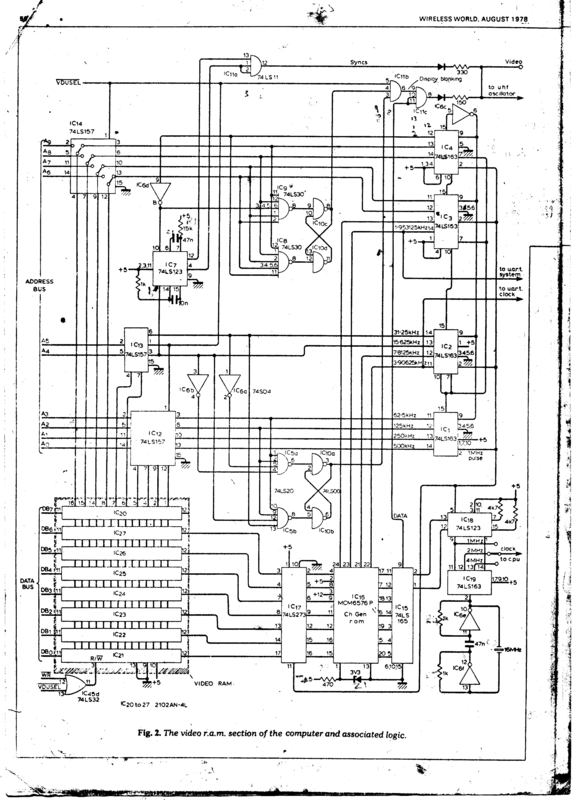 Z80-CPU Mostek Manual from Nascom 1 manual set. NAS-DOS 1 operating system for a DSDD 80 tracks FDD. Note:.t4 files are generated with the D (dump) T4 command, and must be loaded under T4 by the L (load) command. These files are not compatible with the .sys files generated by the Xww + Txxxx yyyy Nas-Sys commands because T4 does not use standard ASCII CR and BS. It is possible to edit them and to globally substitute the non-standard codes, however ZEAP 1.1 is not compatible with Nas-Sys. 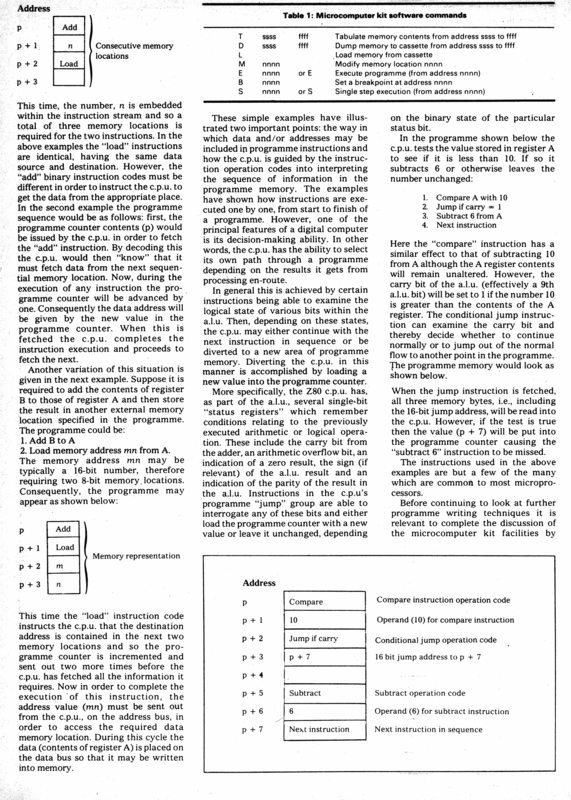 Compression Assembler COMPASS 1.3 (Level 9 Computing). Assembler ZEAP 2.1 (written by Paul Chapman). 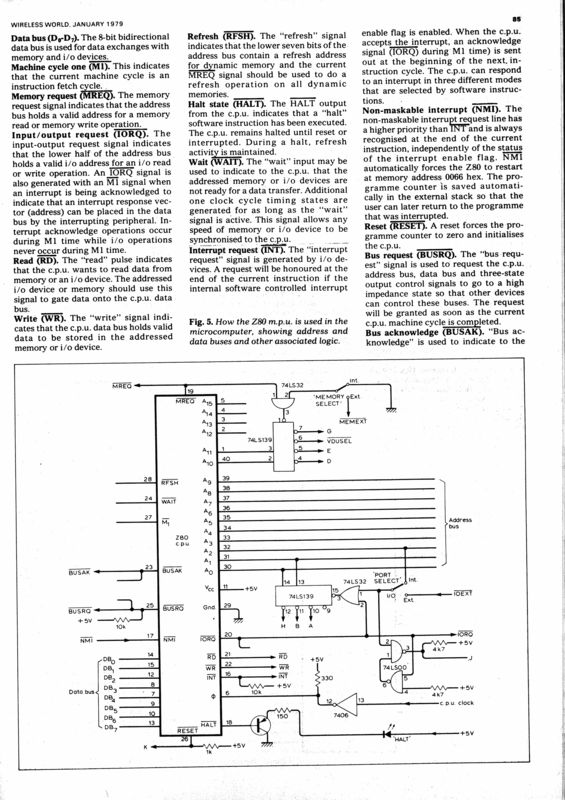 TDL 12K Basic (1977) (needs Vnascom > V2.1) cold start J, warm start Z. 8K tape-Basic code (starts at 1000H). Nas-Sys version: basic8ktape.nas and T4 version: basic8ktape.t4. 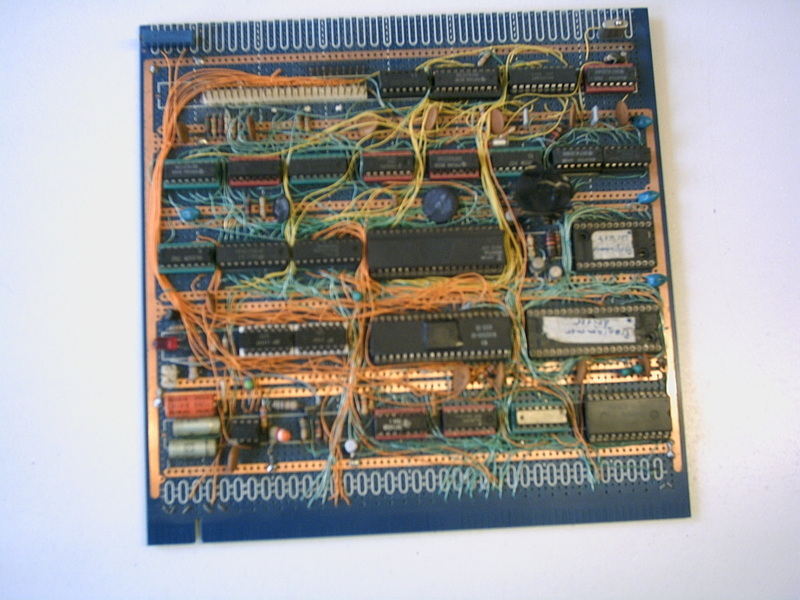 Nascom 2k Tiny Basic (rom image), with assembler source, documentation, and a note. 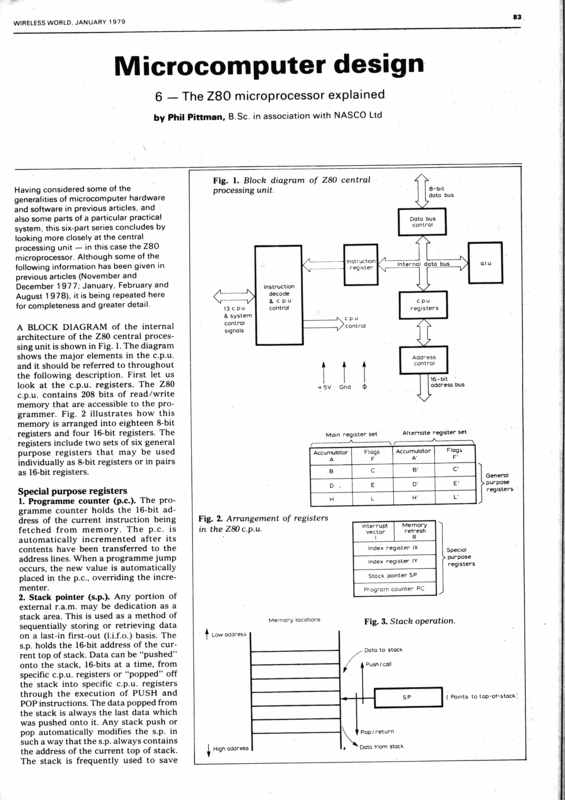 Retriever 2 for Nas-Sys (1981) with sample database. Sargon Chess V1.3 with graphics. Chaser. Keys: E=up, D=down, K=left, L=right. Galaxy Attack. 1981 by South East London Software. Space War (1983) by Richard C. Espley. Needs NAS-SYS 3. Asteroids (Level 9). corrected version. Level 9 Surround (Level 9). Colossal Adventure 16K and 32K version (Level 9, Adventure 32k copyright (c) 1982 Michael J. Evis). Eldorado Gold by David Elliot, start EC80. Chess with Graphics in german with chess graphics rom. Scamble, The Word Computer Game. Mini Scramble game in german. 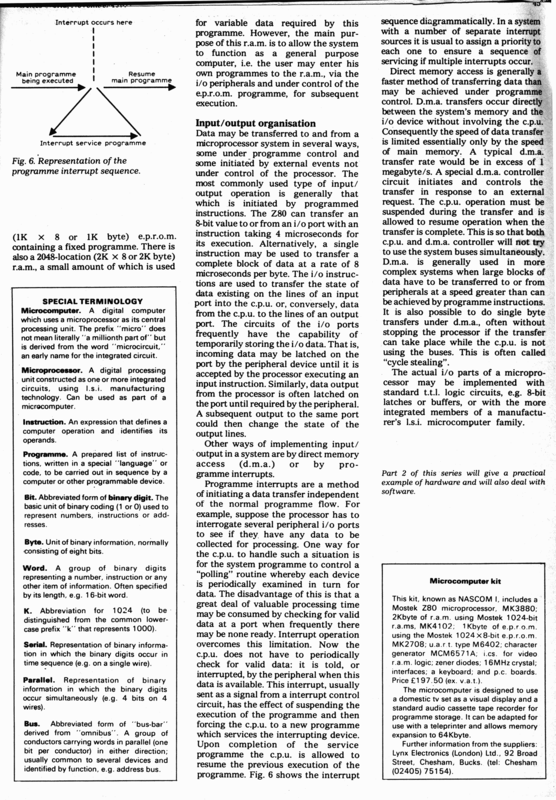 Anders Hejlsberg (of BLS Pascal, Turbo Pascal, and C# fame) authored a wonderful 48 bit floating point matematical package for Z-80 based microcomputers. This is used in BLS Pascal. Collection of Radio/Satellite MBasic programs. 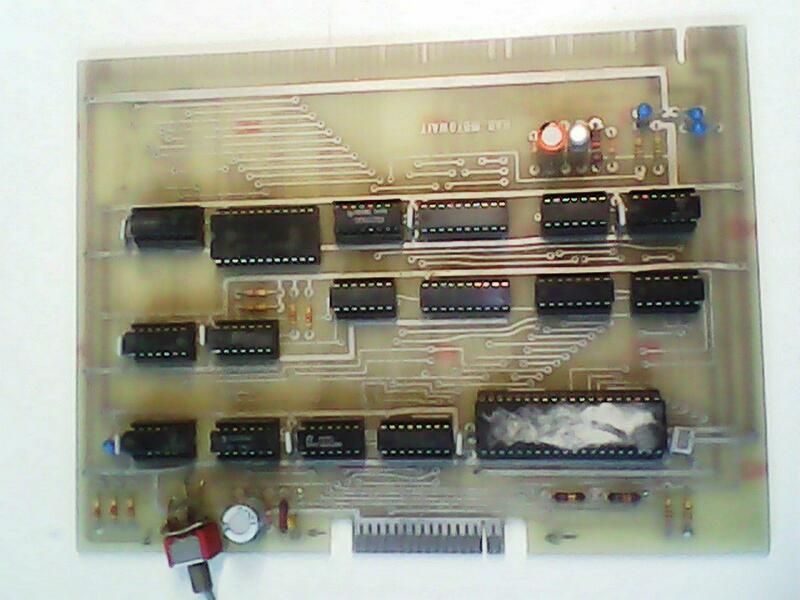 Software for the 2708/2716 EPROM programmer. Dennis Wray for the Nascom 2k Tiny Basic and Nasbug T2 fixes. Jean-Claude Pesce for new scans. Robert Gill for a lot of Micropower magazine. John Hunt for much work on the Wireless World articles. Mike Fox for scanned INMAC News issues and program loading tips, and much more. Mikael Pontén for a CD with POLYDOS and Lucas CP/M 2.2 V3.2. Paul Williams, for a glimpse of the history behind Nascom. Richard Espley for a copy of the AVC manual, the NAS-SEMBLER manual, many Nasdos applications, the Level 9 adventures and the Nascom 2/3 emulator in Java. Steve Drinkwater for the INMC news magazine. 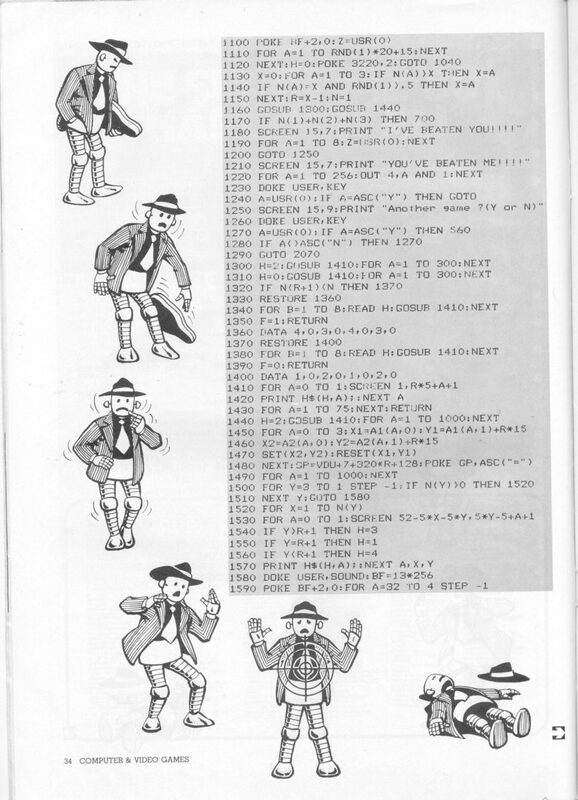 Robert Gill for the Xtal Basic manuals. 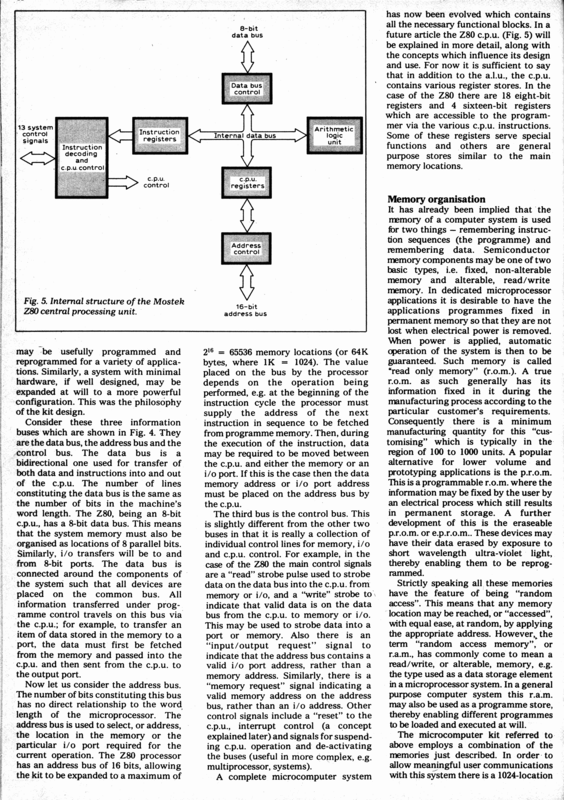 Richard Hodson for the Hisoft 12K Basic manuals, code and the INMC magazine. 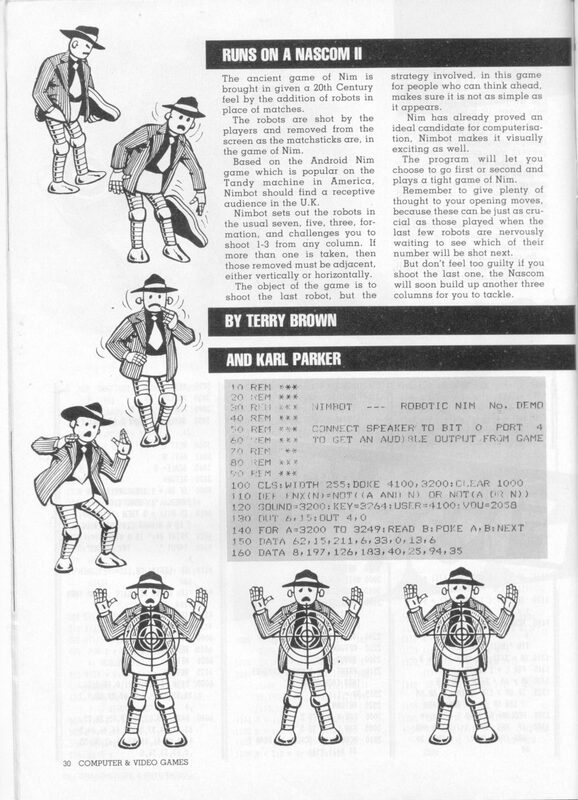 John Parry for the V&T Assembler. 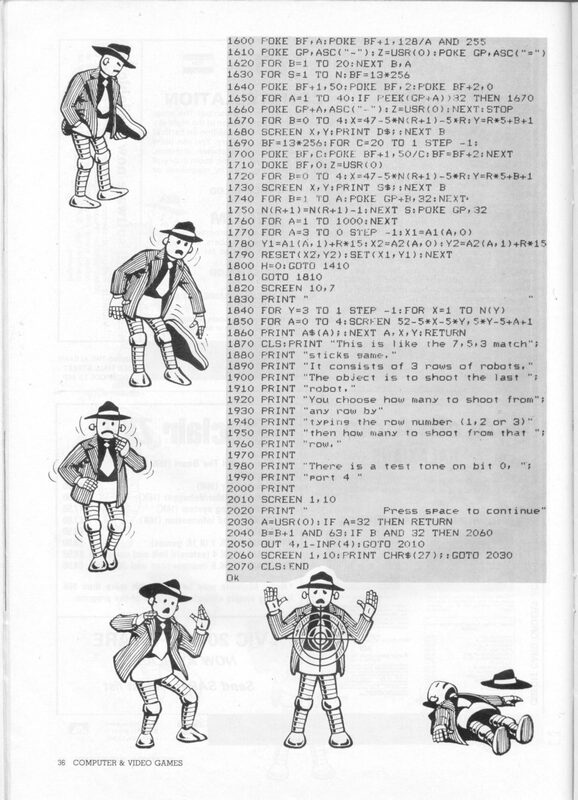 John Parkin for the Z2 Editor/Assembler manual. Lars Jonssen for the Compression Assembler manual. Paul Chapman, the author of the ZEAP Assembler. Peter Brendel for some Basic games. Jesper Hansen for BLS Pascal 1.0. Alain Gibaud for the 8k tape basic and ZEAP 1.1 and documentation for both. Terry Carter for the LogicSoft Relocator manual. Lex Landa for typed in version of Nimbot and Invaders. 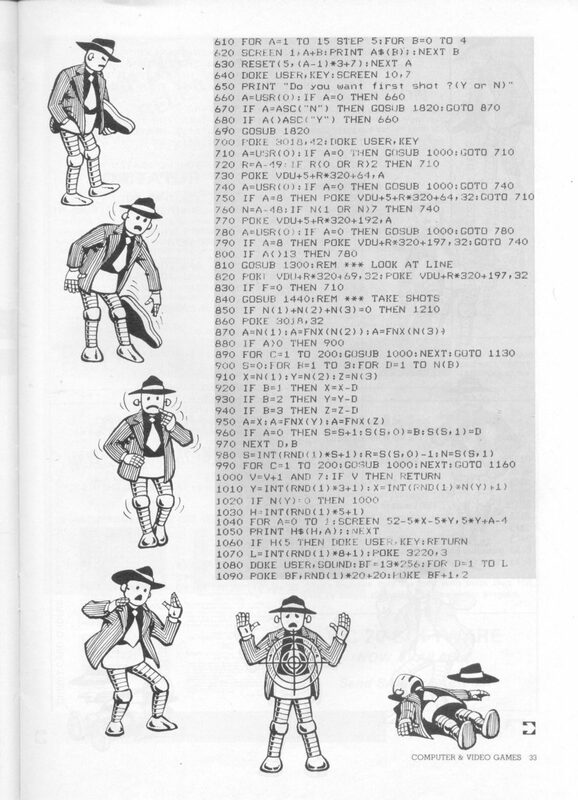 Roger Scott for the Chess graphics rom and D-DOS documentation. Knut Syvertsen for INMC scans and NASBUG T4 and HOBBIT V2 manuals. German Nascom magazines presented by Juergen Loh. NASCOM 1 at Binary Dinosaurs. http://nascom.123.free.fr (not updated for 10+ years).